For most people, the garage door is responsible for heat loss during winter and heat gain during summer. This is because most garage doors are made from metal that conducts heat better than the rest of the garage. Therefore, during a hot summer day, your garage’s temperature will quickly rise because it absorbs heat from the outside. The same scenario happens during winter time as your garage door will lose heat quicker. Thus, you will need more power to heat up your garage which translates to a bigger electricity bill. Luckily, the solution is quite simple! As its name suggests, the garage door insulation kit insulates your metal garage door to help reduce your cooling or heating costs. If you have been struggling with electrical costs lately because of your garage door, then our garage door insulation kit review below contains some quality models that will help you make significant savings almost immediately. The Matador is a popular garage door insulation kit that is ideal for both hot and cold kinds of weather. 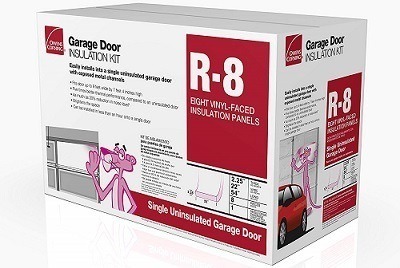 It has an R-value of 4.8, so this model is not the best garage door insulation kit that you can buy. However, it still delivers decent insulation and will comfortably fit a standard garage door of 8 feet x 9 feet. It is made from a high-impact polystyrene laminate that is quite durable, and as its name suggests, it is resistant to impacts. In addition, you do not need any special tools to install this insulation kit, and it can be done by absolute beginners. But best, but we really like about this model is that its build construction material makes it very easy to wash. The Owens Corning is a top-rated garage door insulation kit that you will find in many garages around the world. The reason for its popularity is quite simple. Indeed, this model has a high R-value of 8 which means that it provides you with excellent insulation. You do not have to worry about very cold winter temperatures with this unit as it will simply keep your garage warm and help diminish your heating costs. The same is true during summer, and it will prevent heat from entering the garage. Furthermore, the price of this model is very competitive, and it will fit a standard 9 feet x 7 feet garage door with ease. Again, you do not need any complex tools for the installation. A utility knife, a straight edge, and a marker are all the tools that you will need. 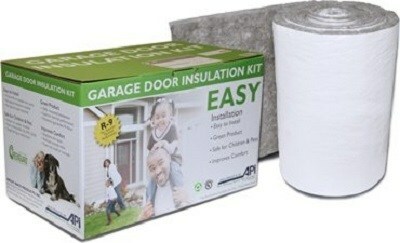 If there is one department where this garage door insulation kit is unbeatable, then it is in its installation. Indeed, since it is made from a reflective foam that is flexible and relatively thin, it is very easy to cut to size. Moreover, it has a double-sided tape at the back which makes it very easy to stick to your garage door. Out of the box, you get enough insulation kit to cover a surface area of 16 feet x 8 feet which comes as a standard size. Of course, if you need a bigger surface area, then you can purchase another box. In addition, this is a high-quality insulation kit that is made in the USA and has a high R-value of 7.5. This means that it will provide you with excellent insulation both during summer as well as in winter. 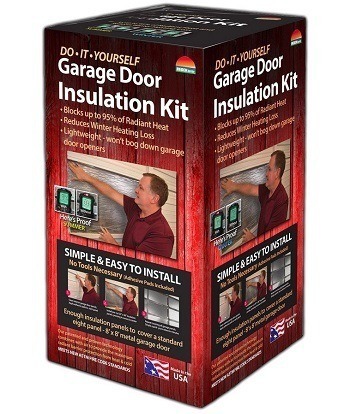 All in all, this product by US Energy Products is a true DIY garage door insulation kit that you absolutely must buy if want easy installation and excellent insulation for your garage. Let’s face it; most garage door insulation kits come in standard sizes. 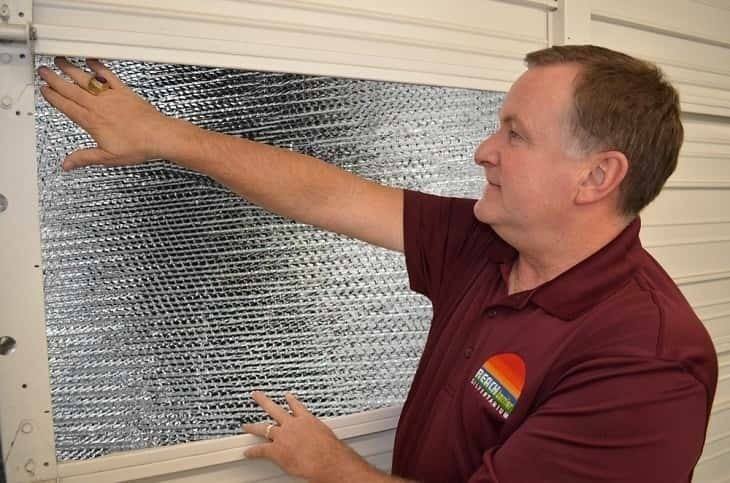 And often if you made a mistake and ordered the wrong size, you end up getting a garage door insulation kit that is unusable and difficult to install. This is not a problem with this Anco model because it has a height of only 1.75 feet but a large length of 36.6 feet which means that regardless of the size of your garage door, you can simply cut it to size and make it fit. In addition, it is made from a very tough and durable fiberglass material that also has an excellent R-value of 9. In fact, based on efficiency alone, this model by Anco is the best garage door insulation kit that you will find in this review. 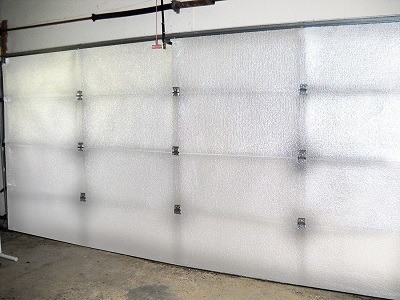 The Cellofoam is a special type of garage door insulation kit that is made from cellulose Styrofoam. It comes as a pack of 8, and it will easily cover a garage door measuring 36 feet x 13.6 feet. Of course, since it is made from a Styrofoam material, you can easily cut it with a knife or a pair of scissors. While this insulation kit does not provide the best insulation for the garage door during winter, it does an exceptional job during summer. Indeed, where this insulation kit absolutely shines is in helping to insulate your garage from hot outside temperatures. If you need protection against hot temperatures, then the Cellofoam is an excellent choice. The Reach Barrier prides itself in its ease-of-use and ease of installation. Indeed, you do not need any special tools to install this insulation kit. This model comes in 8 insulation panels so you can easily cut them to size, so they fit perfectly to your garage door. Moreover, since it uses a special reflective polyethylene material, it will provide your garage with excellent insulation both during winter as well as in summer. It can provide you with such excellent insulation because it is a double layered insulation kit that traps air between the 2 layers for the insulation. Before finding the best garage door insulation kit for the money, there are some important aspects that you need to consider. Here are some guidelines you can follow when purchasing this kit so that you do not make an expensive mistake. The size and the shape of both the garage door insulation kit as well as your garage door are important factors to consider. This is because it is often difficult to cut the insulation kit to shape so you must make sure that it fits your garage door right away. 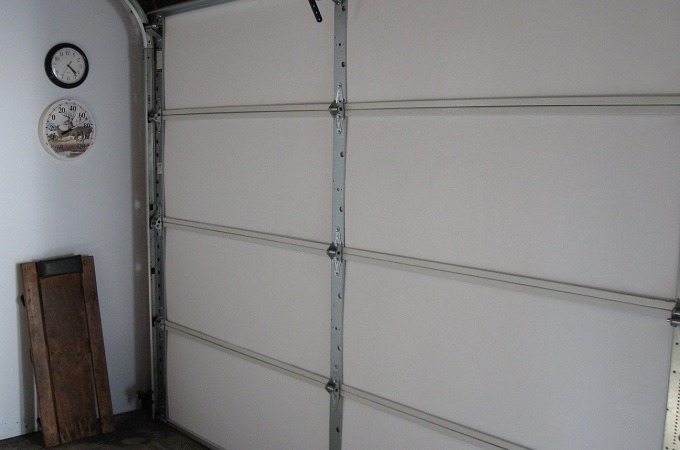 In addition, most garage doors use standard sizes. So, if you pick the right model of your insulation kit, you will have no difficulty installing it on your garage door. The garage door insulation kit is made from many different materials. Therefore, they have different prices as well as different levels of effectiveness. Fiberglass: Fiberglass is a common construction material used in the garage insulation kit. It is very durable and has a high R-value of usually more than 7 which means that it will offer you with excellent insulation. However, the main caveat with a fiberglass garage insulation kit is that it is difficult and messy to cut to size so you must make sure that you get the right size from the get-go. Spray foam: As its name suggests, the spray foam is simply a foam that you spray on your garage door. Once applied, and cured, the spray foam will act as an insulation between the outside and your garage door. This type of insulation is not the best insulation for the garage door, but it gets the job done and is one of the most affordable. Rigid foam: The rigid foam is usually made from Styrofoam. Styrofoam is a very lightweight material that offers excellent insulation. 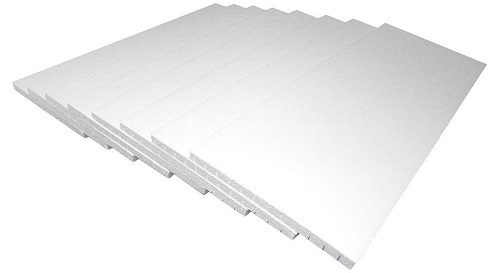 But one of the biggest advantages of rigid foam is its ease-of-use and ease of installation. Even if you get the size wrong with a rigid foam insulation kit, you will have no difficulty cutting it to size and placing it on your garage door. You can use a regular adhesive to stick it to your garage door. Cellulose: Cellulose is a low thermal material made from organic plants. Some experts argue that it is better than fiberglass as an insulator and easier to manipulate and install as well. However, the main caveat with a cellulose garage insulation kit is that it is usually more expensive when compared to other types. Especially if you have a large garage door, then it can quickly become costly. The effectiveness of the garage door insulation kit is measured in its R-value. A model that has a higher R-value is usually more effective than a model that has a lower R-value. For most people, the garage door insulation kit with an effectiveness of 7 or more is more than enough and will provide your garage with adequate insulation from both heat as well as cold. Of course, since installing the garage door insulation kit is usually a DIY job, you do not want it to be very difficult to install. Luckily, most garage door insulation kits are quite easy to install, and you will need only basic tools to do so. Not to mention that you also do not need a lot of experience to install this kit. The garage door insulation kit really does a good job insulating your garage, both during the winter as well as in the summer. But best, this kit is very easy to install, and you do not need advanced tools to do it. You can easily install it over your garage door in a few hours. It is also relatively affordable, and anyone can purchase a garage door insulation kit without much trouble. Finally, if you have read our garage door insulation kit review above and you have still not made up your mind on which insulation kit to get, read it again.